Welcome to Fair Winds Llama Ranch. We are a small family-run business located at the base of MacDonald Pass west of Helena, Montana. We offer a variety of quality, Made in Montana, hand-crafted products that can be customized to your individual specifications. We look forward to working with you. 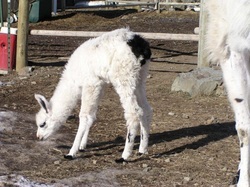 Our llamas and alpacas are sheared in the spring. The fur is then cleaned and processed into roving and yarn. We produce fabric bowls of varying sizes and shapes. They can easily be customized for your special occasion. We make a variety of quilted products ranging from table toppers and wall hangings to full-sized quilts. We are happy to customize a quilted product for you. 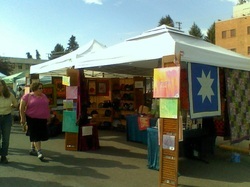 You can normally find us Saturday mornings from April to November at the Helena Farmer's Market, on Fuller Street. Our bowls can also be found at the Avon Café on Hwy 12 in Avon. ​You can also contact Steve at (406) 461-5857 to arrange a meeting at another time that is more convenient for you.